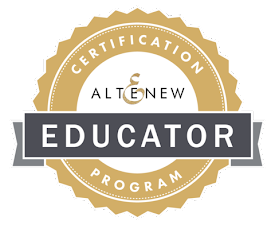 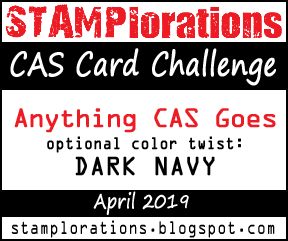 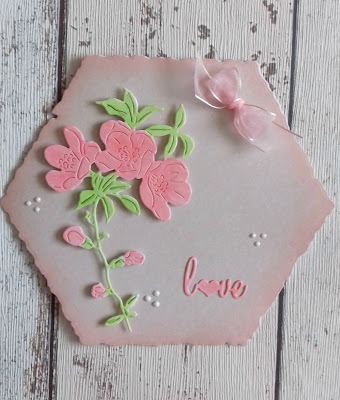 What a treat, this is my second posting today and I have lots to share with you. 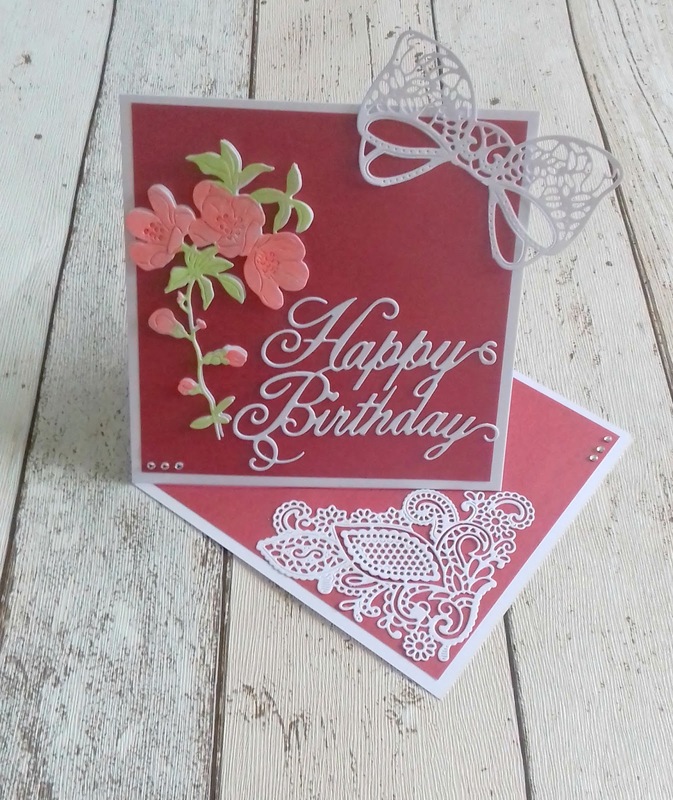 Tattered Lace have a launch on Create and Craft TV this evening at 8pm and I have some samples to share with you. 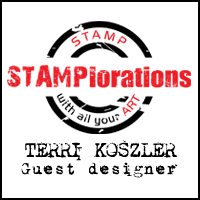 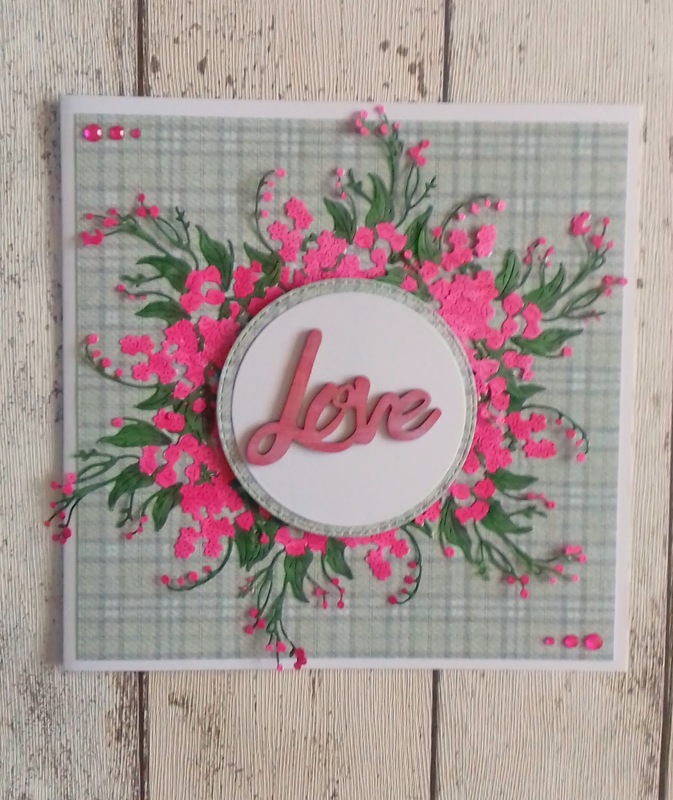 All of my samples were made with Tattered Lace dies, I have listed the links to the dies under each photo. 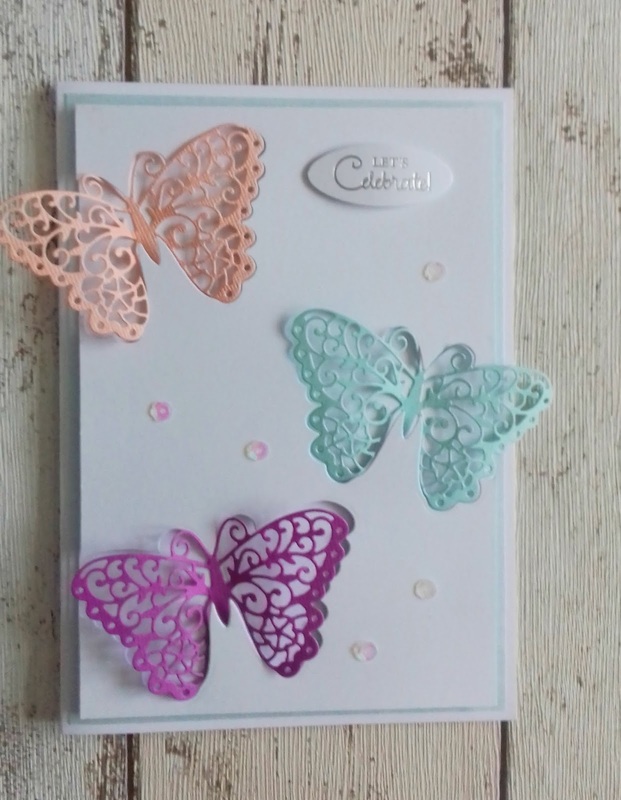 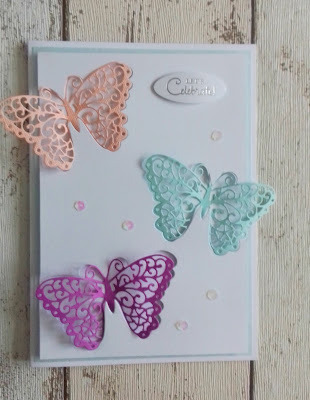 I used the Enchanted-butterfly die to embellish a simple easel card, butterflies really are a crafters best friend. I thought a hexagon card would a nice shape to work with and would show off the Blossoming-branch beautifully. 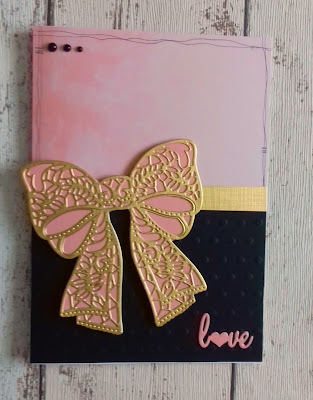 The 2017-bow-die is big and beautiful that I really wanted it to speak for itself so I kept this card simple and elegant. I love the pink, black and gold. 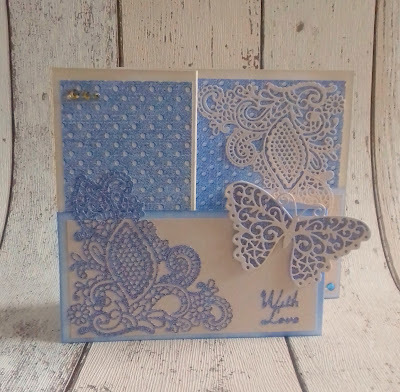 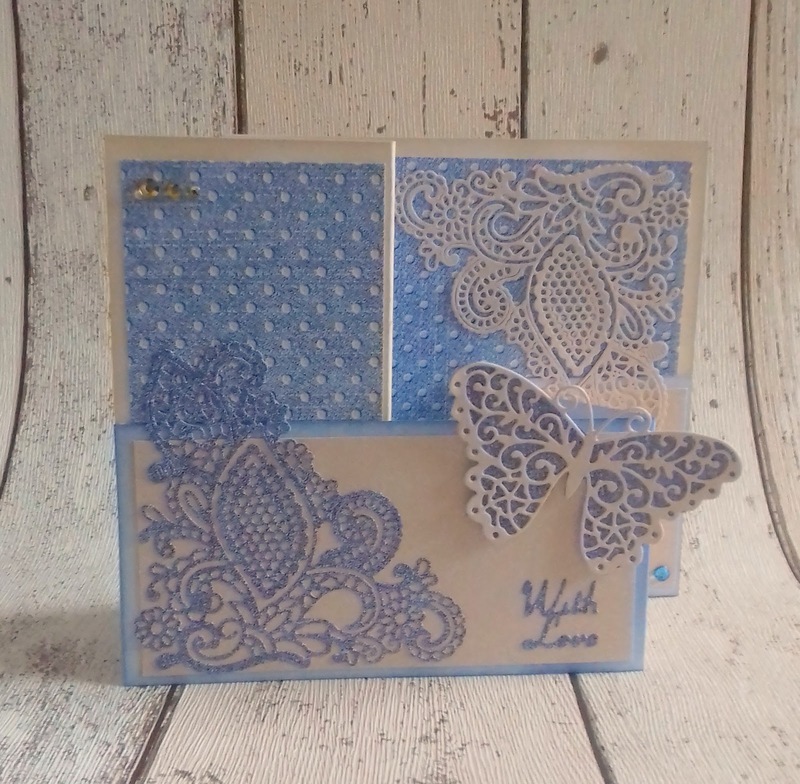 I made a Z fold card in beige and blue, I added the Enchanted-butterfly and Paisley-corner to give a really soft and dreamy feel. 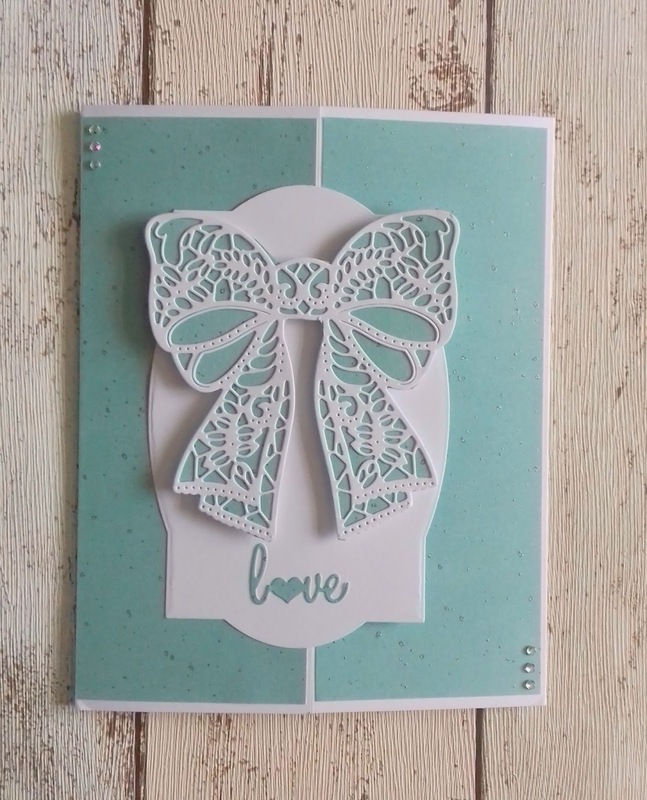 This card was all my daughters idea, the pale teal and white work so well together with the 2017-bow-dies as the main focus. 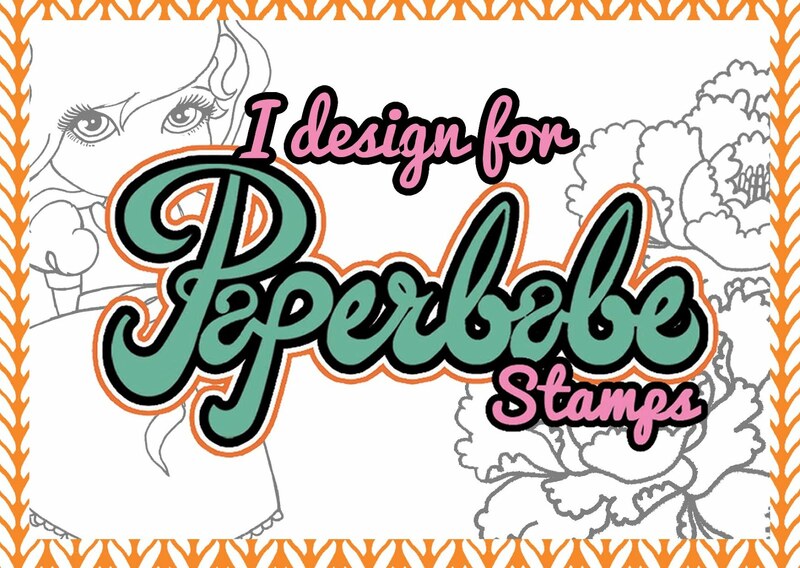 I'm sure that she has more creative talent than me. I used 4 of the Paisley-corner die cuts to frame a sentiment, I opted for white, pink and a touch of silver. 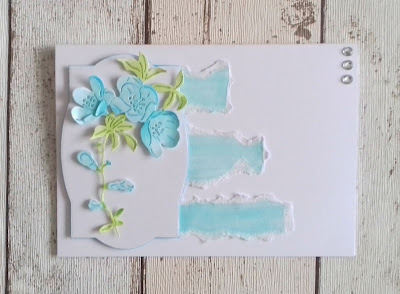 It's a really pretty card perfect for a weeding. 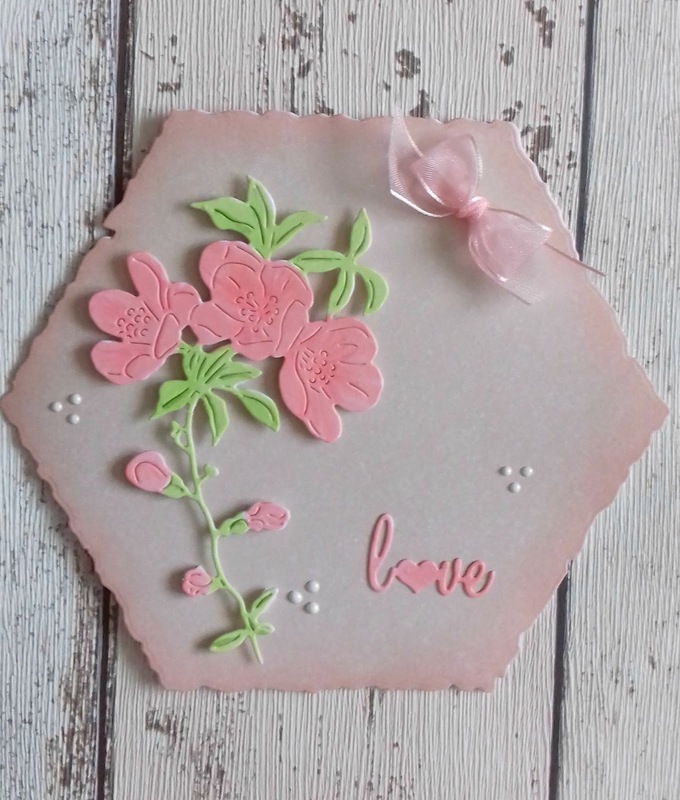 I always try to make something different with the dies I'm sent and decided to use the With-love-adornment to create a floral arrangement, I cut 6 of them and placed them behind a circle and then added an MDF sentiment on top. 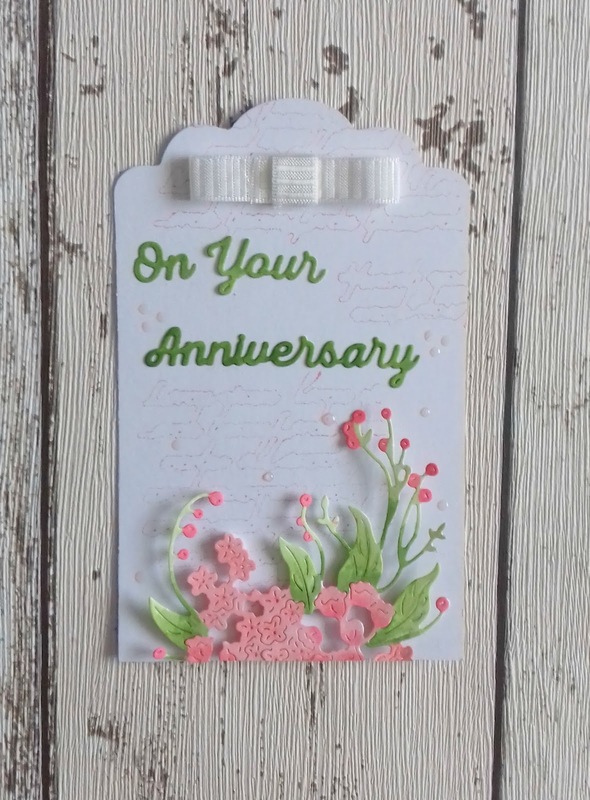 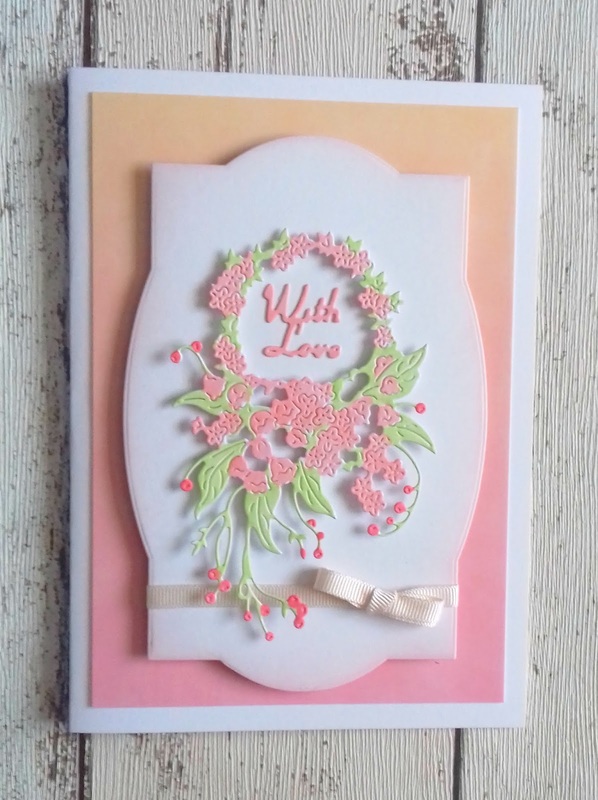 This is a simple card that allows the With-love-adornment to shine in all it's glory, I stuck to a simple pinky peach tone for the flowers and background. 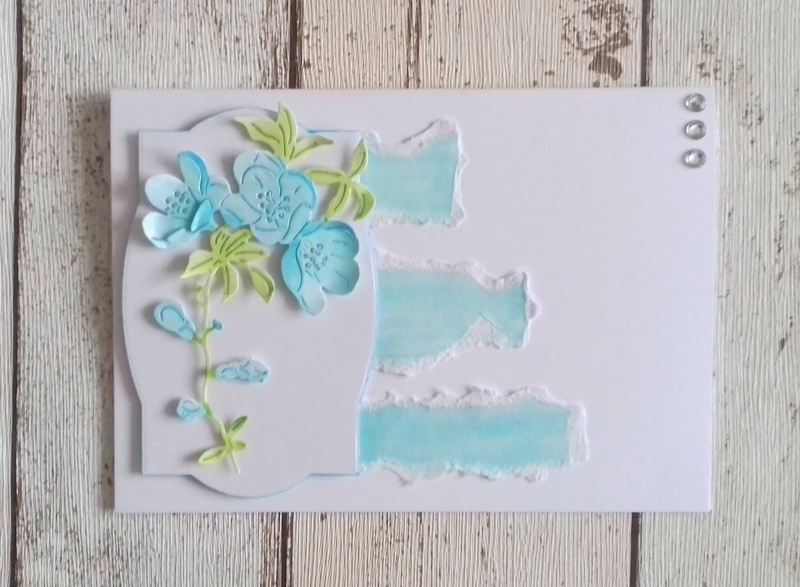 The blossoming-branch was coloured in a pale blue and mounted onto a die cut plaque, I also coloured torn strips of paper to match and placed them under the plaque. 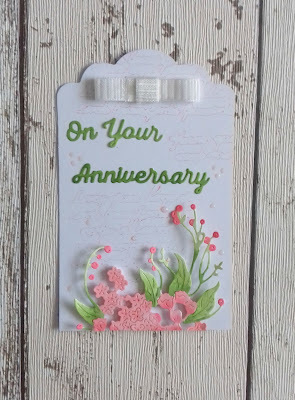 This is a fun card and very modern and clean. 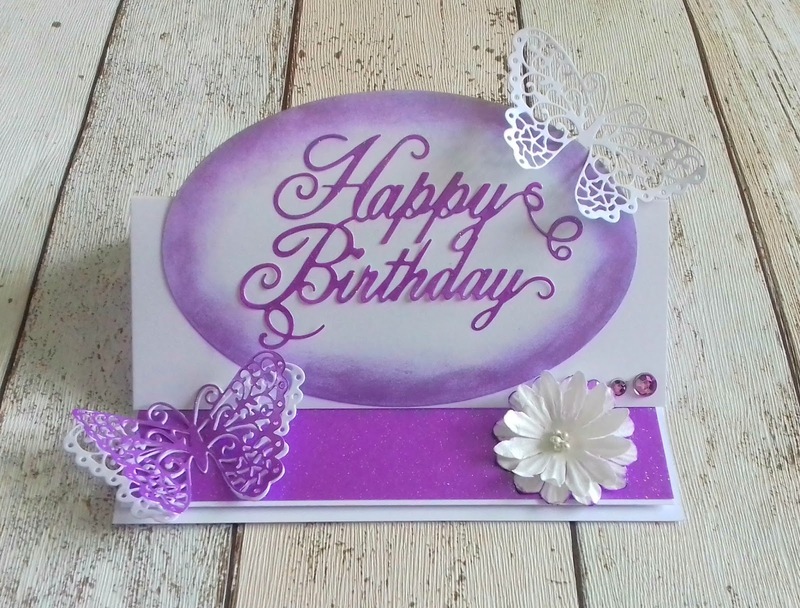 I used the Enchanted-butterfly to cut 3 butterflies from coloured card, I also used the die to cut 3 apertures from a panel of white card and then place the coloured butterflies in the void using foam pads. 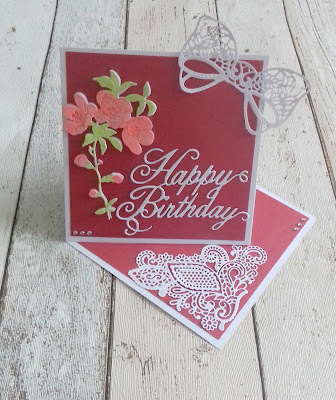 As you can see I made lots of card with the dies I was given, they are just so versatile and a must for any crafter.